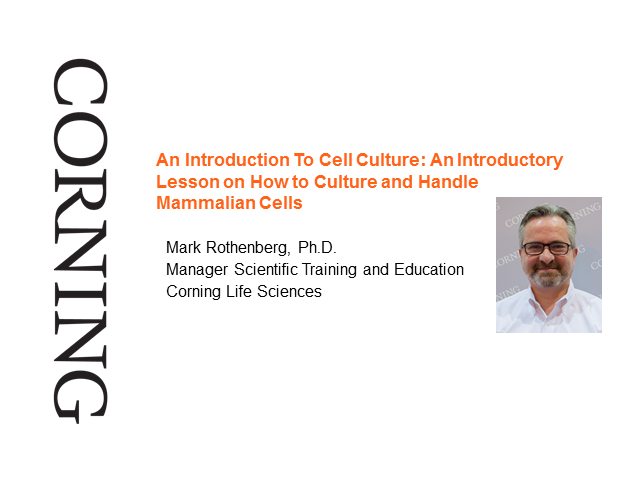 This webinar will introduce the history, theory, basic techniques, and potential pit-falls of mammalian cell culture. It is designed for students and new lab technicians, as well as bench scientists interested in updating their techniques or knowledge in the field. Presented by: Mark Rothenberg, Ph.D.